This program was developed to raise awareness among parents of the importance of having their children’s’ eyes examined upon starting school. Children who can’t see the board or focus on a picture or follow words in a book may struggle to achieve their full learning potential. Vision problems can also impact their social development and hand-eye coordination for physical activities. 80% of learning comes directly from vision. 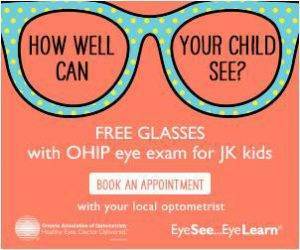 While your child is having his annual eye exam, ask our optometrist about your dry eye treatment options.